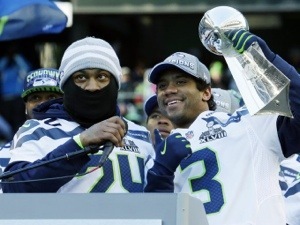 Yea, I know we’re late but congratulations to the Seattle Seahawks for winning Super Bowl XLVIII. As we predicted their defense was too much for Peyton Manning and the Denver Broncos, winning 43-8. Congrats to Malcolm Smith for winning Super Bowl MVP. 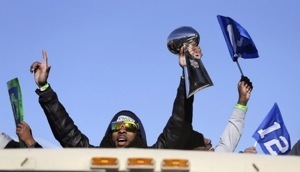 The Seahawks celebrated with the 12th man with a parade in downtown Seattle. 700,000 strong came out for the celebration.